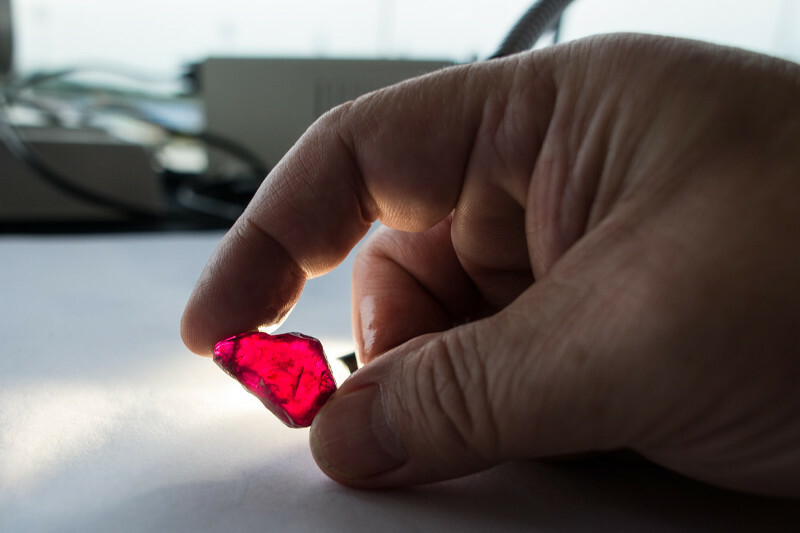 A new auction of rubies mined in Mozambique held in Singapore allowed Montepuez Ruby Mining, Lda to obtain revenues of US$54.8 million, said the company, which is a partnership that is 75% owned by Gemfields and the remaining 25% by Mozambique’s Mwiriti. Lda. The price reached an average of US$61 per carat, with 895,848 carats being purchased out of just over one million put up for sale by the company, which has a mining concession in Cabo Delgado, northern Mozambique. This was the eighth Mozambican ruby auction by the company since June 2014, with accumulated revenues of US$280 million. This sale will net the Mozambican state US$5.48 million as a result of levying the production tax, which is currently 10%, according to the Mozambican press. London-based Gemfields is currently being disputed by Chinese group Fosun International through Fosun Gold and Pallinghurst Resources, which have submitted bids to buy the company. Pallinghurst Resources, whose proposal was announced on 19 May, is, however, already the main shareholder of Gemfields, holding a direct shareholding of 47.09% of the company’s capital.